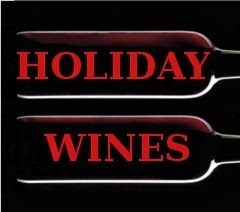 A series on wines for the holidays. At a recent wine event in Los Angeles, Cornerstone Cellars’ managing partner Craig Camp spoke to me, as eloquently as always, about his Cornerstone wines and the great vineyard sites from which they harvest grapes. He also mentioned something near and dear to my heart. Rosé wine. He agrees that pink wine need not be a summer-only event. In fact, he stated specifically how great his Corallina rosé is with Thanksgiving turkey. To that I can only add, it is even better with those leftover turkey sandwiches on Black Friday. That one, plus a few more holiday essential wines from Cornerstone follow. This is one of my favorite California pinks. The Napa Valley vineyard from which these grapes come is west of the Oak Knoll district, almost in Carneros. The aromas and flavors, while fruity, are more complex than those generally found in pink wines. This is one Syrah rosé in which the Syrah really shows up for work. It is deeply-colored and richly textured. It looks pink, but it drinks red. We always need a nice white wine for holiday entertaining, and why not Sauvignon Blanc? Cornerstone's Sauv Blanc is rich and vivacious, two things we would all like to be. It's great with turkey, too, or as an aperitif. Not to brag on the excellent growing conditions in the Napa Valley, but Camp reports, "In Bordeaux they add Sémillon to add richness, but in the Napa Valley we can achieve that depth with the Sauvignon Blanc variety alone, letting the pure essence of this noble variety shine." A holiday beef dish needs a Cab, and why not go all out for the holiday feast? Cornerstone made their name with Napa Valley Cabernet Sauvignon, and here we have two reasons why. Camp really bristles if you mention that the cool 2011 vintage was a problematic one. He's quite content with a more Bordeauxesque growing season. "The problems climate presents to winegrowers in Napa," he says, "are those of over-ripeness, sugars that mature ahead of flavors and lack of acidity. In truth, the hot vintages are the problem vintages in Napa, not the cooler ones. "At Cornerstone Cellars," he continues, "we are very pleased with our 2011 wines and love their balance and freshness and length. Our Cabernet has that bit of an herbal edge that makes the variety so compelling and so amazing with food. A liberal dollop of Merlot, which ripens earlier than Cabernet, adds richness and a velvety mouthfeel to our 2011 Napa Valley Cabernet Sauvignon White Label." Camp: "The vineyards of the Howell Mountain AVA are well above the fog line meaning many extra hours of sunshine, which paid off big time in the cooler 2011 vintage. In fact, I believe the wines from this AVA really benefited from the milder weather, which helped restrain the aggressive mountain tannins. What you'll find in our 2011 Cornerstone Cellars Howell Mountain Cabernet Sauvignon, White Label is a classical Cabernet structure with firm, but perfectly ripe integrated tannins. In my opinion it is a wine that should be ready to drink in five to seven years, but with proper storage can develop for decades." Offer as a gift for the patient, with dinner for those of us who cannot wait. Whole Foods Market makes it easy to be an adventurous wine lover. They make it pretty affordable, too. The popular grocery chain is shining the autumn spotlight on the wines of New Zealand, which offer a lot more than just Sauvignon Blanc. Two tasting events on social media have featured New Zealand Chardonnay, Pinot Gris, Pinot Noir and even a sparkling wine. You can access the Twitter conversation by searching the hashtag #WFMWine. The Grove Mill Winery 2012 Pinot Noir is very manly. It's the Chuck Norris of Pinot Noir. It could have been called Chuck Noirris. If you stick out your pinkie while drinking it, that finger will be dislocated. I've heard that when Chuck Norris makes wine, the grapes crush themselves. I can't vouch for that, but I won't argue the point, either. Chuck Norris doesn't get drunk from wine, the wine gets drunk from him. Located in the Wairau Valley of the Marlborough region, at the top of New Zealand's South Island, Grove Mill is sustainable and ecologically committed. They even have a wetland area next to their vineyard, which is home to the Southern Bell Frog. Their masculine Pinot Noir hits only 13% abv and sells for a reasonable $20 at Whole Foods. This Pinot is dark ruby red and has aromas to match. Dark raspberry is layered with sage, clove and forest floor. On the palate, black cherry cola meets a tart handful of raspberries over a cup of black coffee. Herb and spice linger on the finish, rounding out a spectacle that is ready for the holiday table. On Twitter, @WFMWine commented on the $20 price point: "We think Grove Mill is quite a wine for the $." I agree. @WineHarlots tweeted that it was "a little heavy on the oak, pairing with a grilled lamb chop might balance it." @JamesTheWineGuy tasted it differently: "gorgeous nose! Rich yet balanced; a beautiful wine - low ABV 13%." Whole Foods recommends pairing the Grove Mill Pinot with charcuterie, goat cheese, pork loin or roasted chicken. They have a recipe for that chicken on their website. I'll take mine with turkey, both white meat and dark. Pass the cranberry sauce, please. Few wine regions know how to get a Twitter conversation going like New York's Finger Lakes AVA. The Finger Lakes Wine Alliance recently celebrated the launch of the 2013 vintage of Finger Lakes Rieslings through a social media gathering. The group claims as their own the title of, "North America's premier cool-climate wine growing region." It's probable that only other North American wine growing regions would offer an argument. Even so, it would just be sour grapes. On Twitter, it was a Riesling love fest. @GrapeBelt tweeted, "Time to spread the Good News: #FLXRiesling is a major player, here to stay!" @ilove2drinkwine not only likes the wine, but the lower alcohol content of Rieslings: "One great thing about #FLXRiesling? Had about 8 glasses by the time I was done last night -- #NoHangoverForMe." You can view the entire Twitter conversation as it happened here. Noted wine expert Janis Robinson wrote recently that "Riesling can transmit terroir more sensitively than any white wine grape I know, making it truly the counterpart of the Pinot Noir that is so often grown alongside it." However, she fears its powerful nature and schizophrenic sugar content are keeping bottles dusty in your local wine emporium. She does note that Riesling has become "the signature grape variety of the Finger Lakes." Heron Hill Winery overlooks lovely Keuka Lake, as it has for over 35 years. Their 17,000-case production makes them a fairly large player in the Finger Lakes wine scene. The winery facility is built into the side of the hill, so gravity feeds the juice through the winemaking process instead of pumping. Winemaker Bernard Cannac was born and raised in Languedoc, so it is fitting that he is up to his elbows in grapes. He oversees the production of the estate wines from Keuka Lake as well the Ingle family's other estate, on the west side of Canandaigua Lake. Wouldn't you love to be able to say, "My other estate?" Sustainable farming and harvesting by hand are all in a day's work for Cannac and crew. The '13 Heron Hill Classic Dry Riesling is made from four different lots of grapes - 13% Keuka Lake estate, 68% Seneca Lake, 16% Cayuga Lake, 3% Skaneateles Lake. I asked for help from a local on the pronunciation of that last lake, and I was told it's "Skinny-Atlas." I'm glad I asked for help. The lots are fermented separately, then blended together. Alcohol is 12% abv and residual sugar is a low 0.23%. The Heron Hill looks pretty - tinted golden yellow - and smells even prettier. Peaches and lemon aromas are bolstered by minerals and an herbal note. The flavor side of the ledger sheet tallies plenty of green apple, citrus and a slight hint of apricot. There's a citrus/savory finish which lasts for days. The folks at Heron Hill say to pair it with something that has bite to it, like spicy Thai food, Asiago cheese or horseradish. Cinsault, the oh-so-blendable grape, got a moment in the spotlight during a Lodi Wines BrandLive virtual tasting event recently, and it made the most of its time in the spotlight. Lodi Wine notes that old vines "tend to produce more intense wines because older vines naturally set lower crops." The lower a vineyard’s yield, the more concentrated the aromas and flavors from those grapes. “Bechthold’s old vines… continue to thrive while regulating their own fruit production, without a lot of human intervention: the hallmark of “old vine” viticulture.”. Turley Cellars' Tegan Passalacqua claims, "Bechthold Vineyard defies what a lot of people think of Lodi wines. It makes a red wine that is not heavy, not high in alcohol, but rather, light and refreshing. It reminds me of crus Beaujolais in some ways – it has structure, but also high drinkability, and its aromatics are intoxicating, extremely perfumed." Of the three dozen or so Turley wines, most of them are single vineyard designate Zinfandels and Petite Syrahs. They focus on old vines, which means a portion of Bechthold Vineyard is decorated with a sign reading, "Turley." "Planted in 1886," says the Turley website, "this Cinsault vineyard is the oldest of its kind in the country - perhaps even beyond. The vines are gnarly, head-trained and planted on their own roots." Owner Larry Turley and Tegan Passalacqua, winemaker & vineyard manager, both have a thing for old, gnarly, head-trained vines planted on their own roots, so they naturally gravitated to Bechthold. The Turley Bechthold Vineyard Cinsault offers a tart nose of raspberry, nutmeg, pepper and earth. Flavors adhere to this pattern fairly closely, with the addition of some black cherry and tea. The mouthfeel is smooth until the latter part of the sip, when a vibrant acidity comes alive. On Twitter, @BigNoseWino asked of Turley, "Do you ever whole-cluster ferment Cinsault?" @norcalwine answered, "The Turley is whole-cluster." From @myvinespot, "the ’13 Cinsault: Bright and supple, streamlined mouth-feel, red fruit character, spice, nice mineral edge." @dvinewinetime says the Turley "is very light in color; drk pink-earthy with smoked cherries. Complex." @martindredmond notes that the "@TurleyWines Cinsault offers killer value at $17!" And it certainly does. 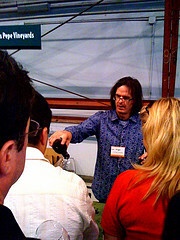 @norcalwine couldn't believe it. "Is the Turley really just $17? Can you hold a few cases for me? I'll drive right out." Few wine regions know how to get a Twitter conversation going like New York's Finger Lakes AVA. The Finger Lakes Wine Alliance recently took to social media to celebrate the launch of the 2013 vintage of Finger Lakes Rieslings. The group claims as their own the title of, "North America's premier cool-climate wine growing region." It's probable that only other North American wine growing regions would offer an argument. Even so, it would just be sour grapes. I always like to point out that the International Riesling Foundation has developed a scale, the IRF "Riesling Taste Profile," to help consumers determine which of the many different styles of Riesling is in the bottle. It is a methodology that Syrah producers would be wise to employ. You will find the Riesling Taste Profile on most bottles of Riesling produced in the Finger Lakes. I thought it was on all FLX bottlings, but through Twitter, @50StatesOfWine and @SandyWasserman pointed out to me that their bottles did not feature the scale. Sheldrake Point Vineyards has been producing wine for over 15 years using grapes grown on their 44-acre vineyard on Cayuga Lake. The site benefits from low elevation and a lakeside location. Cayuga Lake is 600 feet deep and never freezes. The warm and cool waters circulate to provide a tempering influence on the microclimate. This makes the vineyard about 10 degrees warmer in the winter and slightly cooler in summer than other locations. Every winery likes a good back story, and this one is blessed with a good one. It was an abandoned dairy farm when discovered and pressed into a much nobler service, delivering much more interesting beverages. Winemaker Dave Breeden and vineyard manager Dave Weimann are the milkmen here, delivering a Riesling that tips the Ries-O-Meter to "dry." It has only 0.7% residual sugar and hits a low 11.4% abv, so it's a pretty lean machine. 1,292 cases were produced. The '13 Sheldrake Point Dry Riesling has a pale greenish tint in the glass and gives a fruity nose. A little peach, a little apricot, a little pineapple, and the aromas are pleasing. Taking a sip, the mouthfeel is lush. The flavors of peach and apple are laced with a gorgeous tinge of lemon zest and earth. Acidity comes in on the mid-palate and stays for the long finish. Minerals shoot through it all and give a crisp and refreshing experience. Pairing suggestions came from @WineHarlots, "Enjoying @SheldrakePoint Dry Riesling. The bright citrus notes make me long to pair it with ceviche," and @ArtPredator thought it was, "a perfect match for Indian summer sunset picnic. Pairs well with ocean air!" @WineCompass liked the "soft peach and lemon aroma, leads to citrus cream, minerals, and nice acids." I liked the tropical notes, and I was not alone. @dallaswinechick and @GrapeBelt tweeted, "Those tropical notes are rising as the wine warms and opens a bit." Lodi Wine notes that old vines "tend to produce more intense wines because older vines naturally set lower crops." The lower a vineyard's yield, the more concentrated are the aromas and flavors from those grapes. "Bechthold’s old vines… continue to thrive while regulating their own fruit production, without a lot of human intervention: the hallmark of 'old vine' viticulture." Michael and David Phillips have dirt in their blood. 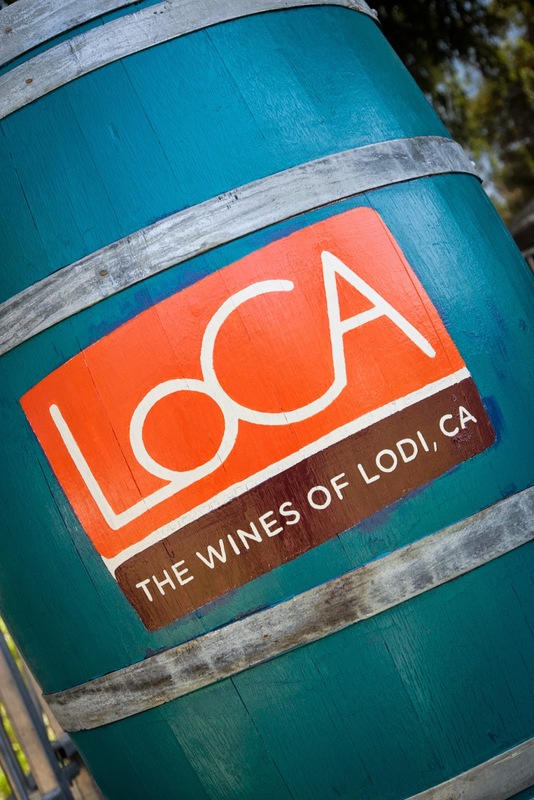 Their family has farmed Lodi since the 1850s, raising grapes for a hundred years. The brothers oversee the efforts of a family business that has pushed into the sixth generation. Winemakers Adam Mettler and Derek Devries work with grapes from 650 acres of vineyards. Vineyard Manager Emiliano Castanon supervises the growing of all those grapes. The Michael David Ancient Vine Cinsault hits a Lodi-like alcohol level of 14.5% abv, a full percentage point higher than in the 2012 vintage. Low tannin levels make it smooth, fantastic acidity makes it food friendly. It's the only vineyard-designated wine in the Michael David line, and it retails for $25. This very dark wine sports a nose of wild, dark berries and oak spice resulting from twelve months aging in neutral French oak. On the palate, rich berry and savory notes hit it off just fine together. The finish lingers, with raspberry and an herbal element remaining long after the sip. Give this wine time to breathe, and it is as smooth as silk. On Twitter, @JamesTheWineGuy commented that this wine shows "an amalgam of red flowers, spice, lavender, game & cherry, while @norcalwine gave "Kudos to Michael David for using the 4+ year old French oak. A great choice for the Cinsault." @dvinewinetime tweeted that "The @MDWinery 2013 Cinsault is inky purple; crisp cranberry & full roundness. Excellent!" @sperkovich liked the "summer strawberry nose, little cherry, nice mouthfeel, wee bit o spice," and @norcalwine noted that "There's a touch of chocolate in the Michael David too. Tasty wine. Pair with a med-rare burger." More tasting notes from @martindredmond: "aromatic with hazelnut, kirsch, strawberry, dried rose and spice aromas." @MsPullThatCork noted the stats: "1 vineyard, 3 vintages, 4 winemakers. Gr8 look @ Bechthold Vineyard Cinsault," while @PullThatCork also commented favorably, "Really interesting Cinsault tasting tonight. Glad I could participate. Thanks!" @dvinewinetime tweeted that, "As a whole, Bechthold Vineyard in Lodi brings us some of the best Cinsault. MUST try." 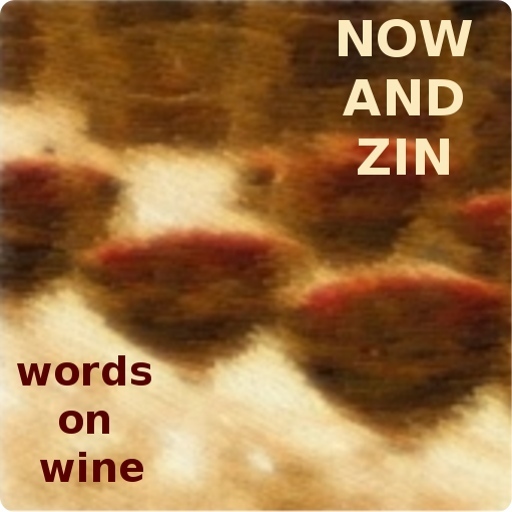 @norcalwine commented on the "truly lovely set of wines," and @JamesTheWineGuy felt there is "a future for Cinsault; some people are seeking light-medium bodied red wines." @martindredmond was reminded of, "Pinot Noir or Cru Beaujolais in terms of aroma flavor profile," and @ReverseWineSnob said, "If I had known how good these were I would have saved a couple bottles for Thanksgiving! Hope I can buy more!" As is customary in these Twitter events, @WineHarlots got in a nice parting shot: "Come for the wines, stay for the Lodi hospitality." She is ordering a glass of wine? Red wine? My wife likes a little vino now and then, but hardly ever has a glass when we go to out dinner unless we are at an Italian restaurant where she can get her Vermentino on. She loves to get her Vermentino on. Feeling a little pressure lately to watch her health, she decided to go with a red wine, that healthful elixir shot full of the resveratrol that will surely keep us healthy - maybe even grant us eternal life, if we consume in moderation. A Malbec, she orders. An Argentine Malbec. It's from Bodega Catena Zapata, and it is from the Vista Flores appellation in Tunuyán, of the Uco Valley, Mendoza, Argentina. Based on the altitude of the Vista Flores area - around 3,100 to 3,200 feet - it would seem that the grapes were taken from the Catena family's La Pirámide vineyard. However, they do like to blend different microclimates - from the different elevations of their various vineyards in the Andes mountains. The Catena Vista Flores Malbec shows a beautiful ruby color and offers a lovely nose full of cherry and plum aromas. 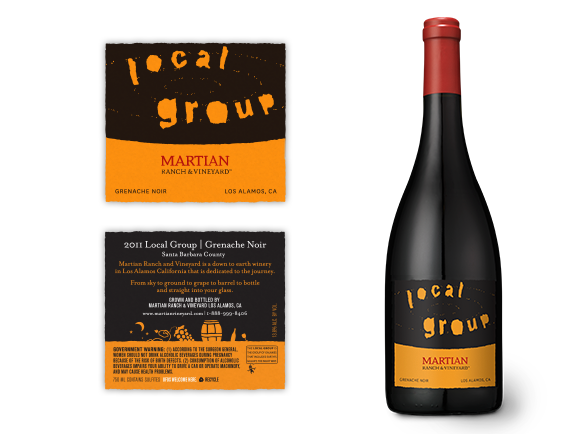 In the mouth, it's full of nice, peppery, red fruit with juicy acidity and firm tannins. The 13.5% alcohol level is moderate and the wine is nicely balanced. October means it is not too early to start thinking about holiday wines. I think about them all year long. As the months pass, I make little lists of the wines I want on my holiday table, with my holiday feast. I know I'm not alone in that little obsession. I hope I'm not, anyway. I have asked some wine folks to help me do a little less obsessing this holiday season by outlining which of their wines they feel are special. The requests went out right about the time harvest was getting underway - great timing! - so I really appreciate the effort the responses required. 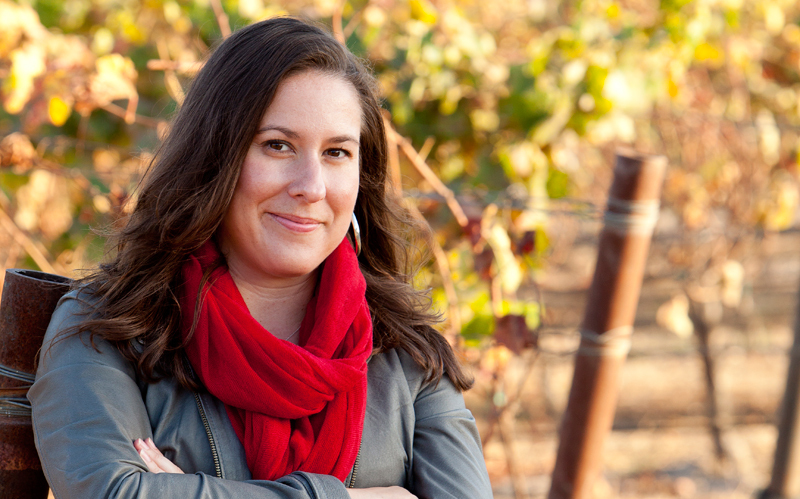 Laura Booras is General Manager of Riverbench Vineyard and Winery in Santa Maria, CA. The former tarheel moved from North Carolina to California wine country in 2004. It was no surprise - her family has ties in the business end of wine. Laura says, "Don't be fooled: this wine is anything but super sweet. The touch of residual sugar brings out a whole different flavor profile of lime and brioche. It's perfect for an aperitif (think blue cheese quiches) or creamy desserts (panna cotta, cheesecake, pumpkin pie)." "This sparkler is celebratory and delicious - our classic and traditional take on sparkling wine, boasting pretty flavors of lemon curd, yeasty brioche, apple and pear, so it's a nice addition to the holiday table. I pair it with cheese plates, salads, also quiche and other yummy bites." "Light and fresh, this wine pairs mouthwateringly well with almost any food. It's a classic with turkey (especially our brined turkey recipe). Rosé and turkey is one of my favorite things." "I call this my Thanksgiving wine because of its stronger clove and spice aromas and flavors. Elegant, smooth red fruit flavors coat the tongue, and the finish of earth and mushrooms adds a sophisticated tone. It’s just lovely with stuffing and gravy, and if a little lingers for dessert, that’s ok, too." Whole Foods Market has another social media get-together planned to spotlight their New Zealand wines. The Twitter tasting event is set for Thursday October 9, 2014 from 7:00 to 8:00 p.m. CT.
To participate in the virtual tasting event, get the wines at a Whole Foods Market near you, take them home, log onto Twitter and stay ready with the hashtag: #WFMwine. 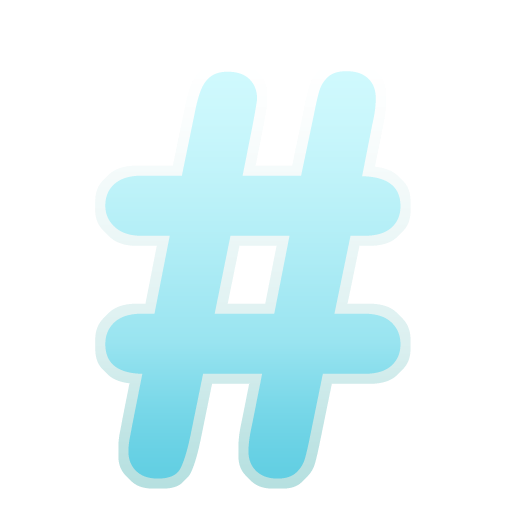 Using the hashtag in your tweets will channel your comments into the stream with everyone else's. To follow along, set up a search for #WFMwine and save it. It's very easy to keep in the flow that way. All the wines are available in the wine department at Whole Foods Market. Get yours, get set and get ready to tweet about what's in your glass. Oyster Bay's stated winemaking philosophy is to produce "elegant and assertive wines with glorious fruit flavours." A noble objective, sure, and one on which they deliver. The real calling card of their wines, however, is their monumental minerality. Their Sauvignon Blanc is well known and loved, and found on restaurant wine lists everywhere. It is laden with enough minerals to form a quarry. The mineral-driven fruit of their Chardonnay takes the same path. 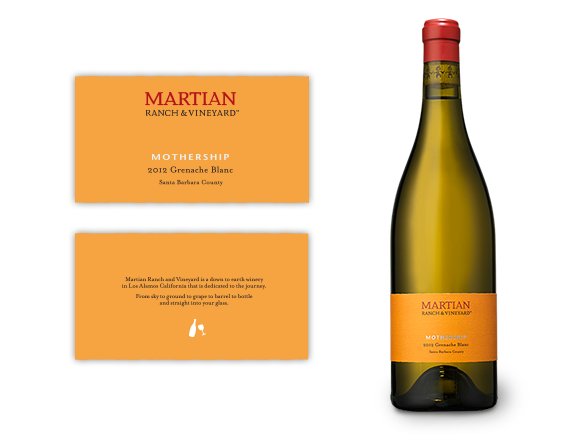 The Chardonnay grapes used to make this wine grow in the Marlborough region, on the northeastern tip of New Zealand's South Island - in vineyards located in the Wairau Valley and the Awatere Valley. The Whole Foods wine department calls this a "sleek, well- balanced white" with a "whisper of oak." Both French oak barrels and steel tanks were used for fermentation, with an additional six months of aging in oak. No malolactic fermentation was employed, so it is as crisp as can be. Alcohol is restrained, at 13.5% abv and it retails for $14 at Whole Foods. This New Zealand Chardonnay shows off a pale green tint, with a slight frizzante - bubbles cling to the sides of the glass. The nose screams minerals, along with citrus and apple aromas. On the palate, a strong citrus flavor and mineral tartness marries perfectly with the bracing acidity. The Wine Guys at WFM say to pair it with Gruyère cheese, fish or squash with caramelized onions or onion soup. I say, that sounds great - but try it with some hummus and pistachios for a great snack. The Whole Foods Wine Guys - @WFMWine - opened the comments on this wine with "Oyster Bay Chard. Love this wine, drank many a bottle visiting a few years back. We Americans love Oyster Bay winery." @AIRNZUSA tweeted, "We're definitely picking up the lemon aroma in this one!" @davidnzwineusa admitted, "drink this wine often at home. Classy balanced and a gr8t value to boot." @vespaspeed1 noted, "tastes like summer and good for any occasion." @WFMSantaFe had an interesting question from a customer: "Do you have half bottles of the Oyster Bay? If I had a whole bottle I'd drink it all!" Get the whole bottle and be proud of your restraint. We have several favorite restaurants, the wife and I, and one of them is Connie and Ted’s, the awesome seafood place on Santa Monica Boulevard. They do lobsters, clams and oysters for those who are religious in their pursuit of such items. She likes the lobster rolls, usually. I had the smoked mahi mahi on this visit and will not rest until I have it again. Pictured are the Stuffies, incredible little breaded balls of smoky Portuguese sausage and garlic. You can get a great calamari or octopus salad there, too. I had the Eagle Rock Populist IPA with my meal. It’s made for seafood, with aromas of citrus - lemon rind - and hops, of course. It is not crazy hoppy, although in my book crazy hoppy is quite alright with me. This West Coast India Pale Ale from Southern California has a 7% abv number. It's October now, which means the Halloween decorations have been in the seasonal display racks at your local merchant since the glow wore off of "Back To School." I'll take that as a cue that it is not too early to start thinking about holiday wines. I think about them all year long. As the months pass, I make little lists of the wines I want on my holiday table, with my holiday feast. I know I'm not alone in that little obsession. The Thanksgiving and Christmas holidays traditionally involve lots of family, so whatever wines you choose to highlight will be special, owing to the simple fact that they were along for the ride. It's nice to put a little thought into it, though. I have asked some wine folks to help me do a little less thinking this holiday season by outlining which of their wines they feel are special. The requests went out right about the time harvest was getting underway - great timing! - so I really appreciate the effort the responses required. "I think a West Coast Christmas should start with a few dozen Morro Bay oysters and a bottle or three of chilled Axis Mundi Mourvedre Rose! Another great match is Dungeness Crab with garlic butter. This is a bone dry rosé with low alcohol, which will help your traveling guests get home safely." "Ham or turkey matches beautifully with a 2011 Clos Pepe Estate Pinot Noir, which just won a Gold Medal at the Los Angeles International Wine Competition. Pinot noir has bright acidity that can cut through gravy or a glaze, and the bright fruit will refresh the palate and charm the soul." "Thinking of something a bit richer, like lamb or ribeyes on the grill? It’s not Santa Barbara, but the Olin Alexander Valley Cabernet Sauvignon is our sister brand and we can’t get enough of this balanced, sumptuous offering. And the price is hard to beat! Big red meats love the tannin structure of Cab." "And don’t forget to make the Spirits Bright with our 100% pinot noir grappa! Great to drizzle in coffee, on top of some apple sorbet, or straight up sipping!" Whole Foods Market is celebrating wines from New Zealand this fall, and they are taking to social media to alert the wine-loving public. There is a virtual tasting event set - one occurred in mid-September - for Thursday October 9, 2014 from 7:00 to 8:00 p.m. CT.
One of the wines featured in the September event was the Wairau River Sauvignon Blanc 2013. Wairau River Family Estate Wines is one of the largest independent wine producers in Marlborough, on New Zealand's South Island. It has been a family operation since Phil and Chris Rose got the kegs rolling in 1978. The Rose family has enough members to start a small town, and Sauvignon Blanc is their flagship wine. They also produce Pinot Gris, Riesling, Gewürztraminer, Chardonnay and Pinot Noir. The grapes for this Sauvignon Blanc grew on some of the oldest vines on the Wairau River estate, planted in 1983. The alcohol is a very moderate 13% abv and it retails at Whole Foods for $17. The winemaker notes that it does not have to be consumed immediately - it will cellar well for two to three years. This is real New World Sauvignon Blanc, with a grassy, grapefruity overlay on the nose that allows aromas of pineapple and lemon-lime to come forward. In a word, sensational. The sip does not disappoint, as the palate shows extremely bright acidity and a fresh-as-a-daisy mouthfeel. Clean and crisp all the way to the finish, flavors of green apples and grapefruits get a tropical twist. As it happens so often with this variety, a bit of springtime escapes when you unscrew the cap. Whole Foods advises pairing this with seafood enchiladas - which sounds really good - and fennel salad. On the label, the winery suggests that it is "best savored with high-jinks and convivial company." Any type of seafood will swim up the Wairau River for this Sauvignon Blanc. On Twitter, @WholeFoods kicked things off with an invitation to "follow our wine experts @WFMWine... They'll be sharing all sorts of knowledge!" @WFMWine - the chain’s wine guys - had a little fun with the notion that New Zealand Sauvignon Blanc smells… well, different. "You guys like this wine? not 2 much cat pee, sometimes overwhelms the nose.this one doesn't at all.u guys smell much pee?" Once the tasting got started, @craigabarrett opened the discussion of the Wairau River Sauvignon Blanc with, "Effervescent nose. Strong green apple jolly rancher notes. Medium + body," and we were off to the races. Many Whole Foods stores across the country were participating by pouring for shoppers. @WFM_Louisiana noted, "Broad St. guests are describing the Wairau River Sauvignon Blanc as "tart" and "heart warming." @kuqofywukuqo answered a Tweeted question: "What do you think of the Wairau River? We love it!" @MomsToolbox tweeted, "Wow! Love the grapefruit & green apple in this zesty Wairau River Sauvignon Blanc!"